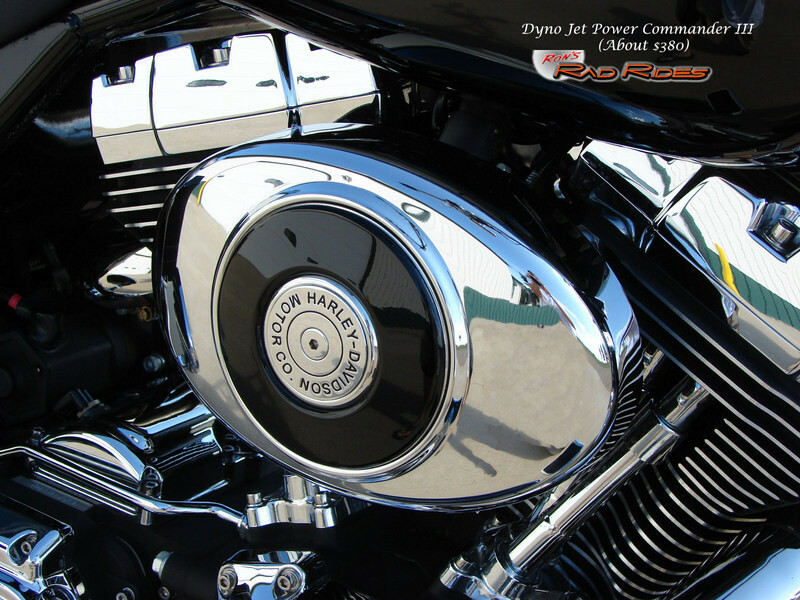 17,000+ in Engine and Accessories... Super nice Road King..!! 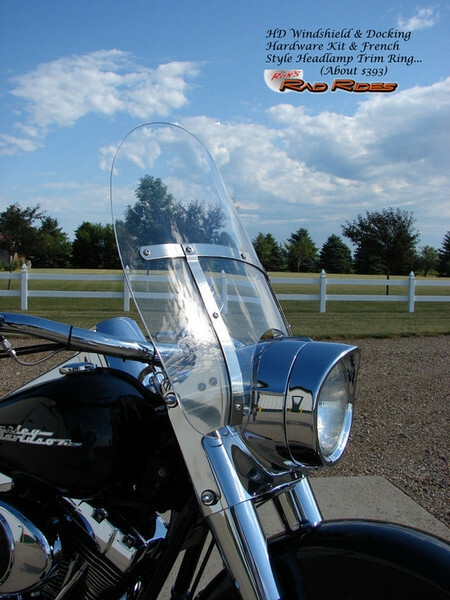 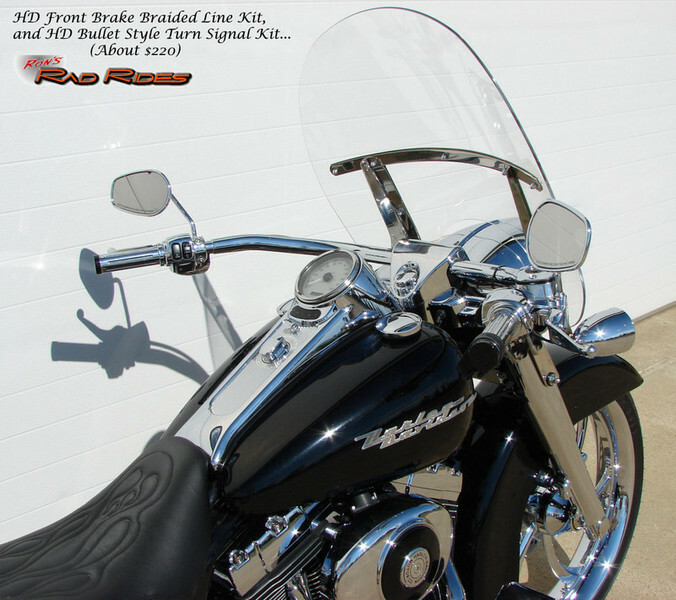 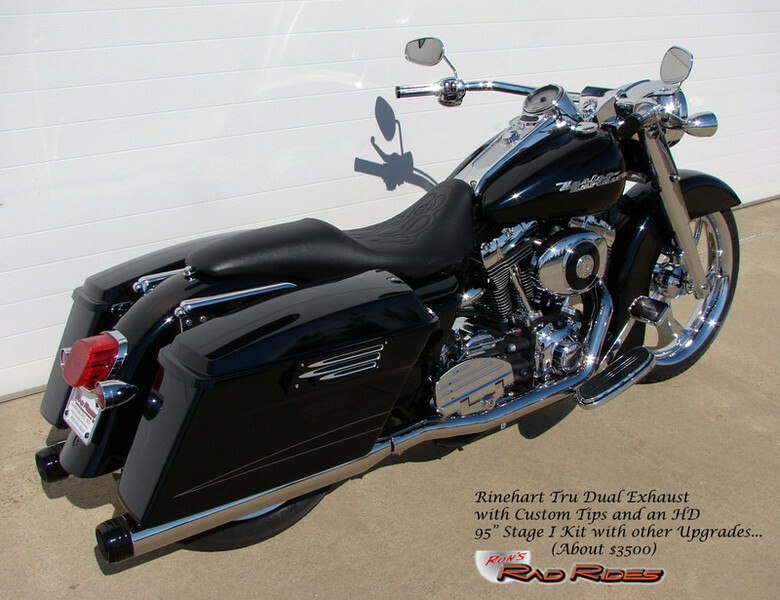 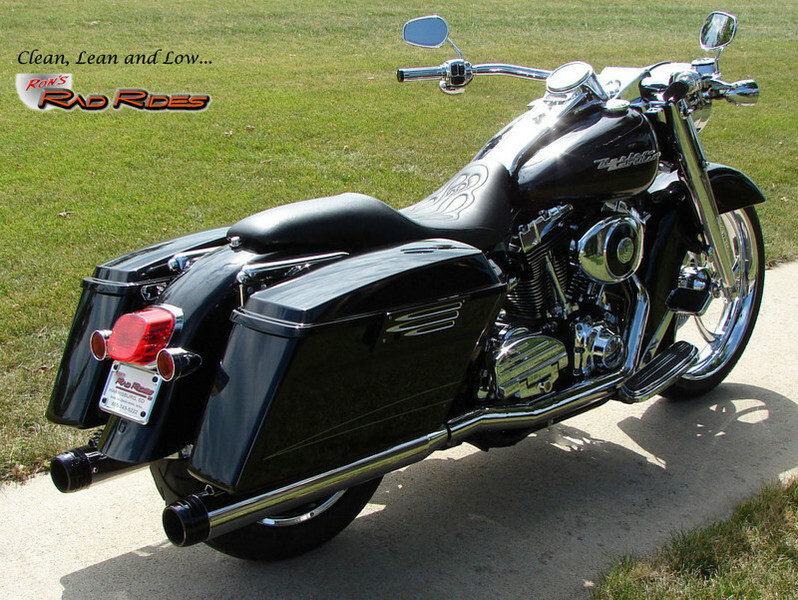 This SUPER NICE Fuel Injected Customized Road King Custom is in pristine condition and has been tastefully upgraded with many High End Parts. 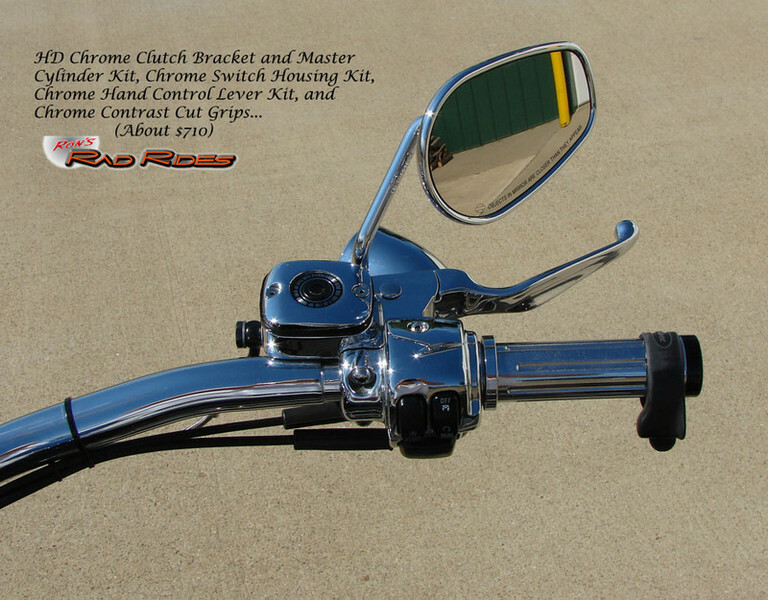 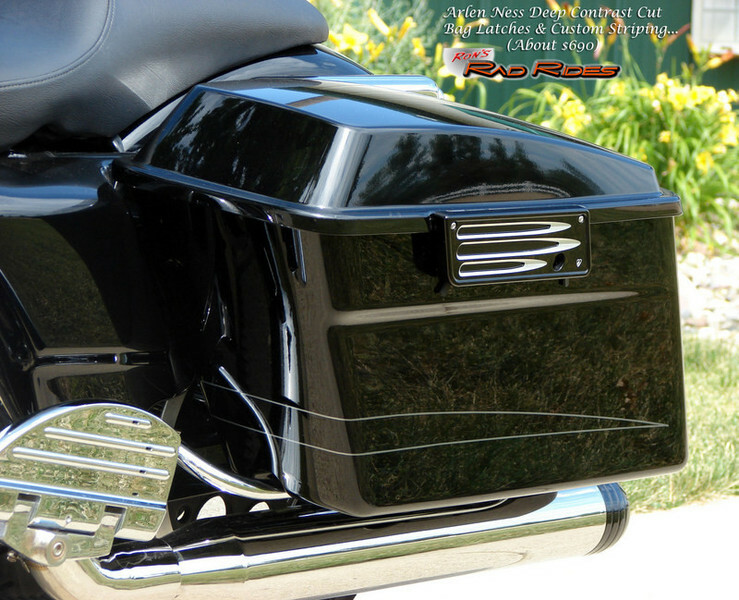 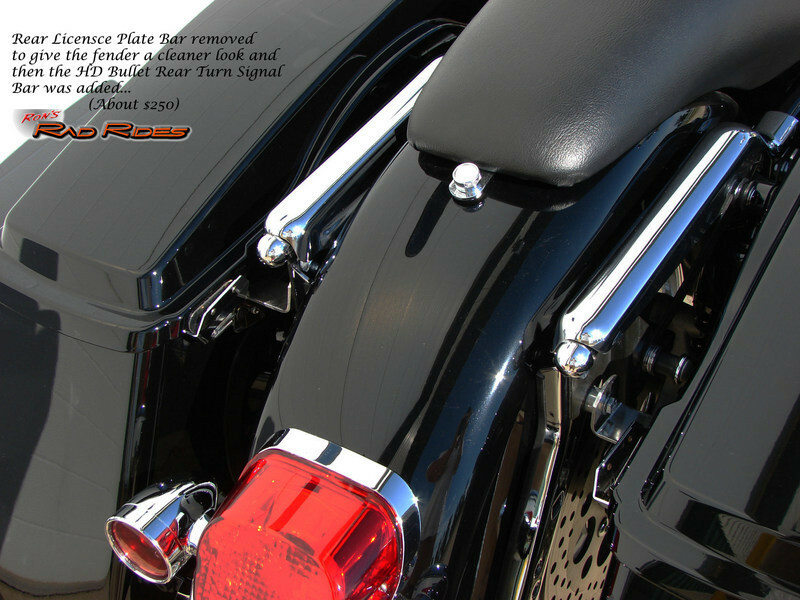 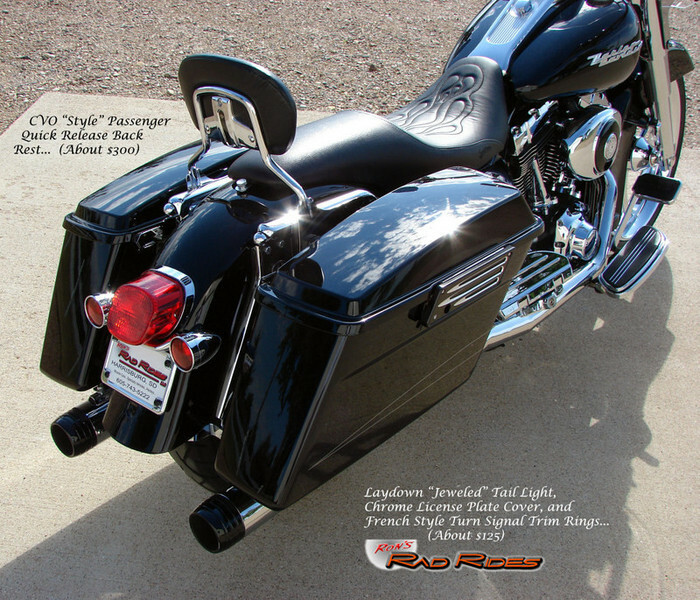 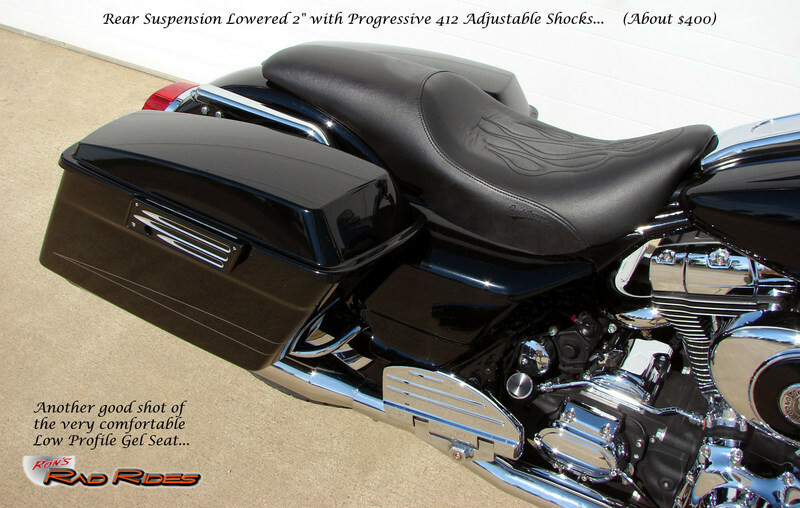 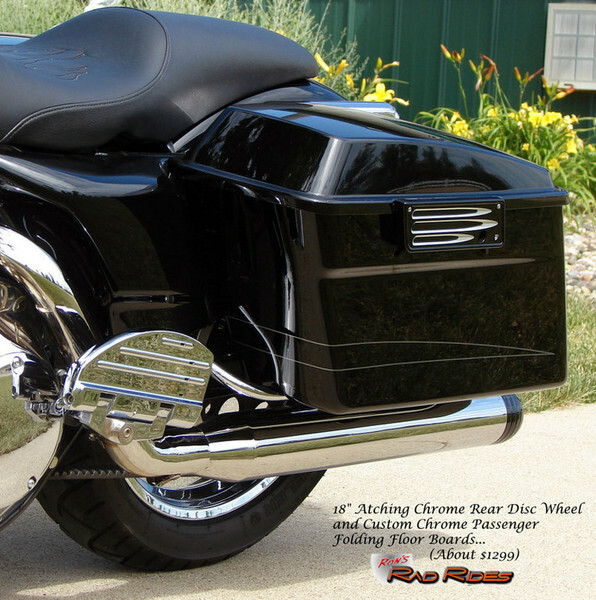 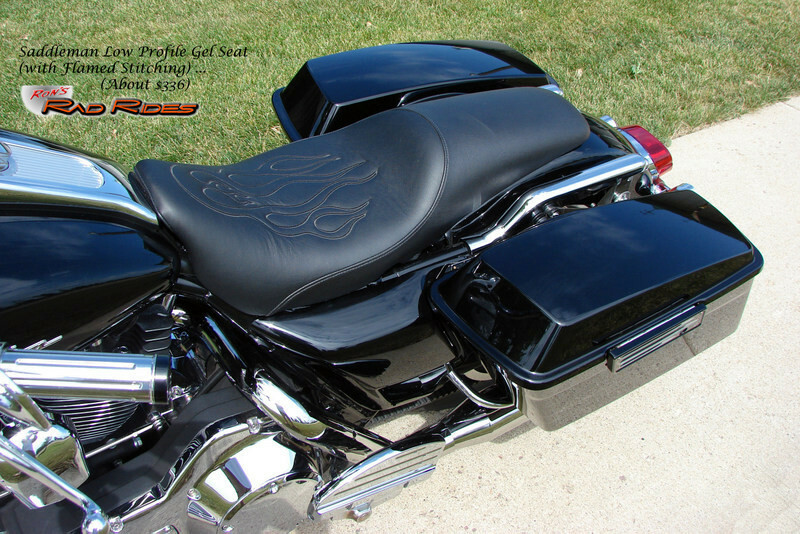 To give it that low Custom Bagger look, it has been lowered 2" in the Rear with Progressive 412 Adjustable Shocks and lowered 1" in the Front with the HD Premium Ride Cartridge Front Suspension. 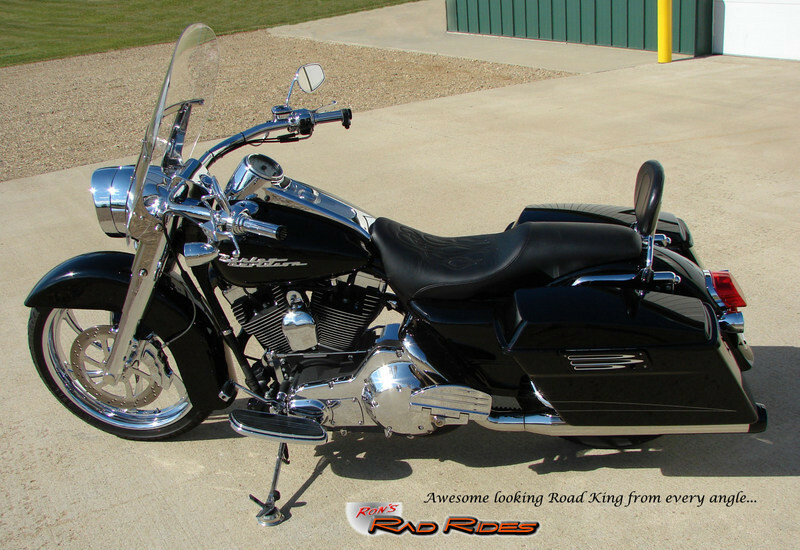 There has been a Total of over $17,000 spent in Upgrades and Accessories on this very cool Road King. 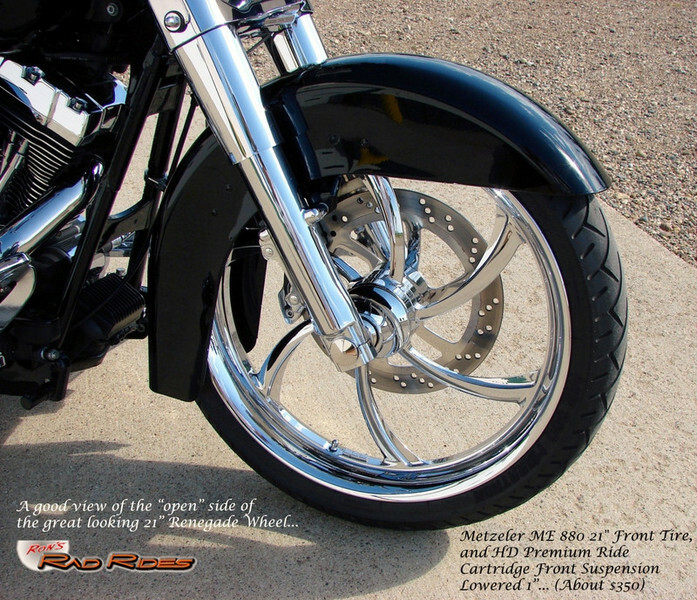 Here is a sample of the cool stuff that has been done to the bike. 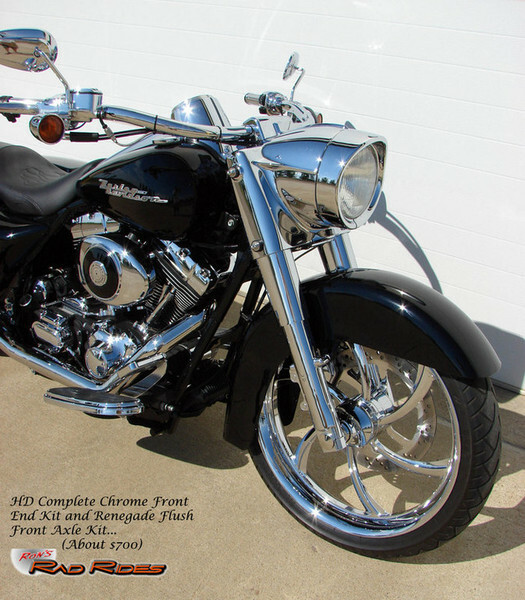 From the 21" Renegade Front Wheel, Chrome Six Piston Caliper and Matching Rotor, to the all Chrome Front End, 95" Big Bore Kit w/other Engine Upgrades, Rinehart Dual Exhaust, Power Commander, very cool Disc Rear Wheel, Stainless Bolt Collection on the Engine, the fat Beach Bars, the Hard Bag Conversion with the Arlen Ness Contrast Cut Bag Latches, the narrow Bullet Rear Light Bar Conversion, and the MULTITUDE of other cool upgrades listed below, this "way cool" Road King Custom REALLY stands out from the crowd. 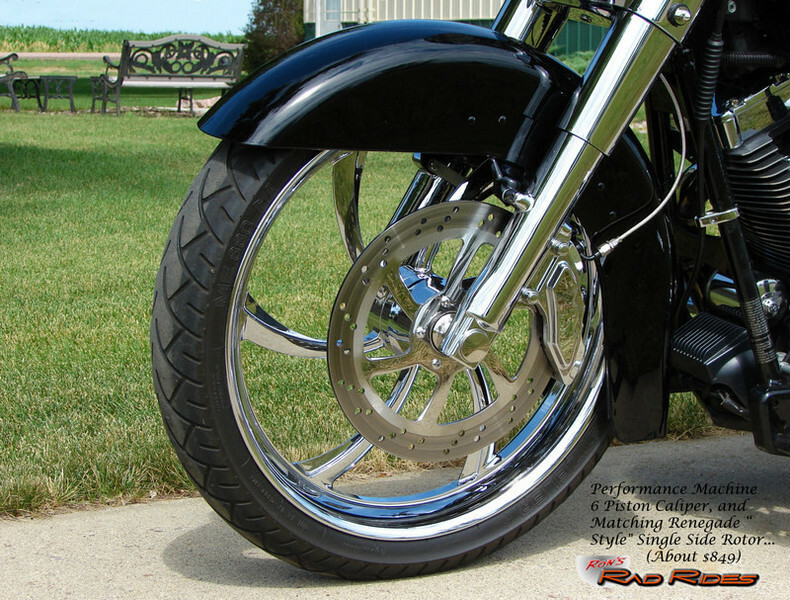 The bike always turns heads no matter where it goes, it rides superb and has tons of power and torque. 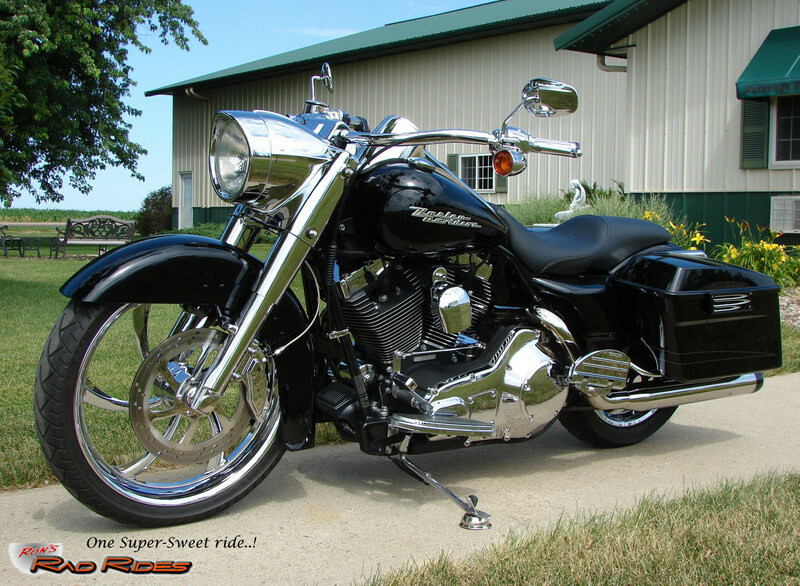 Just a very sweet Ride..!! 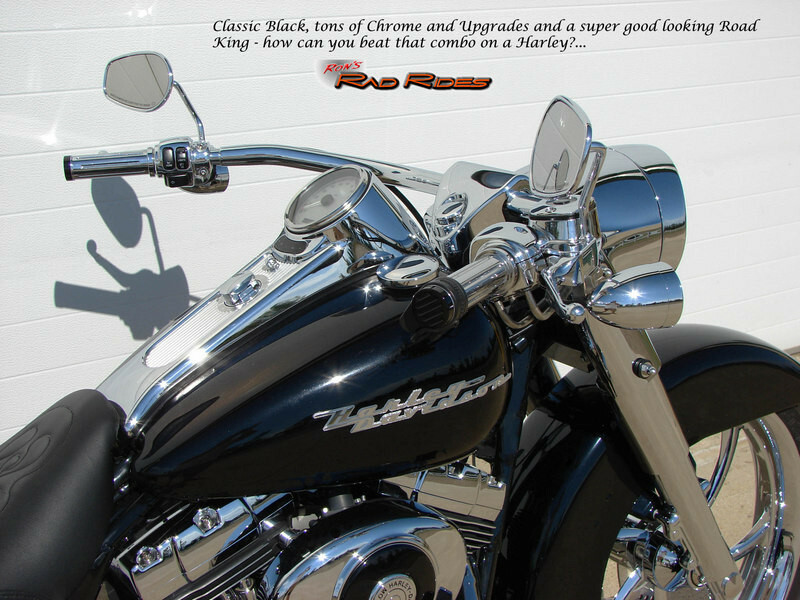 Plus, can you really beat Black on a Harley anyway? 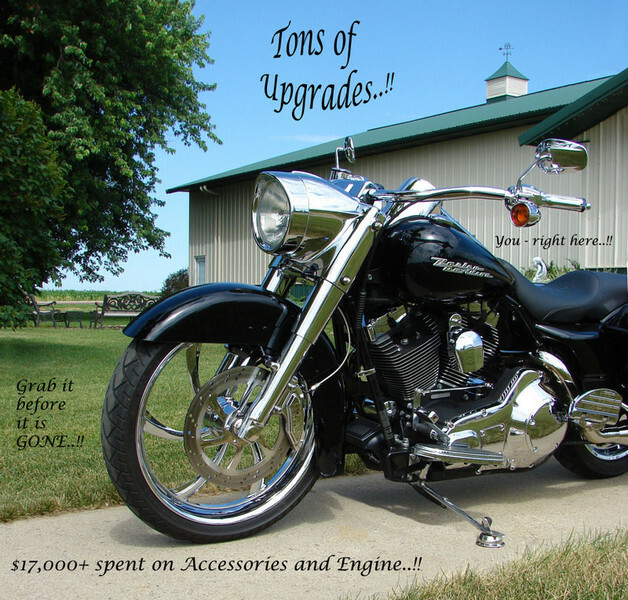 Here is just an abbreviated list of the upgrades and accessories. 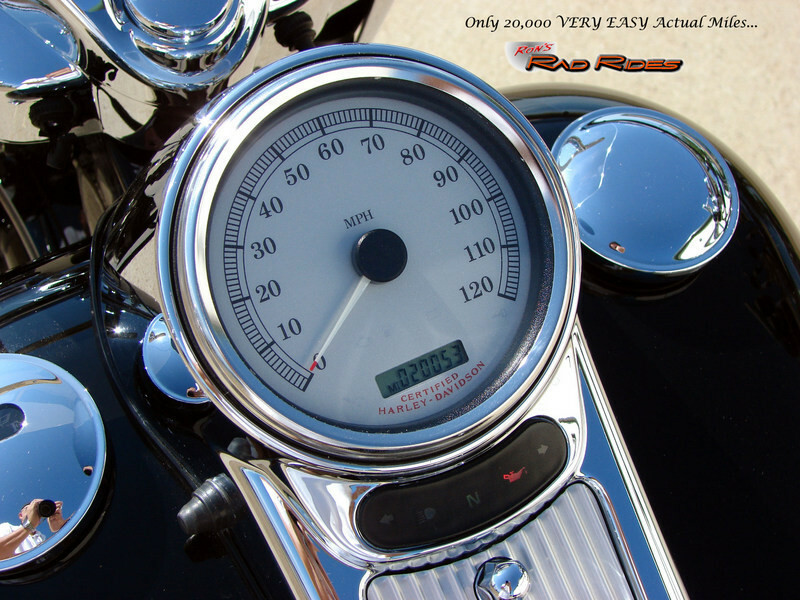 It also has only 20,053 miles. 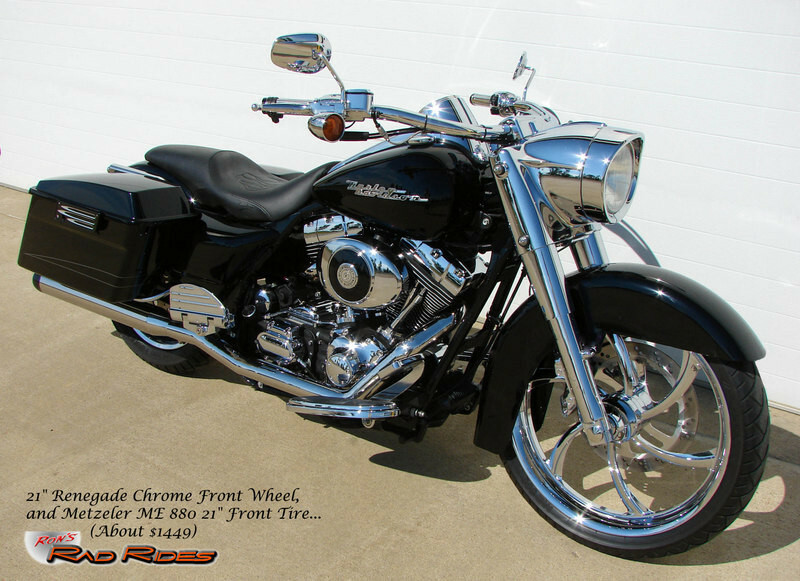 Note #1: I have this bike priced at just what the cost of the upgrades are alone! 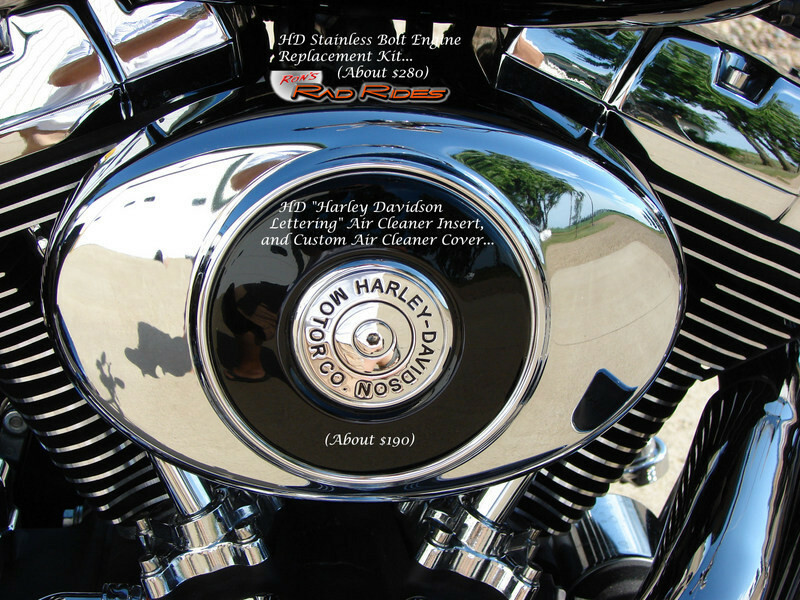 Technically, you are getting the bike for free. 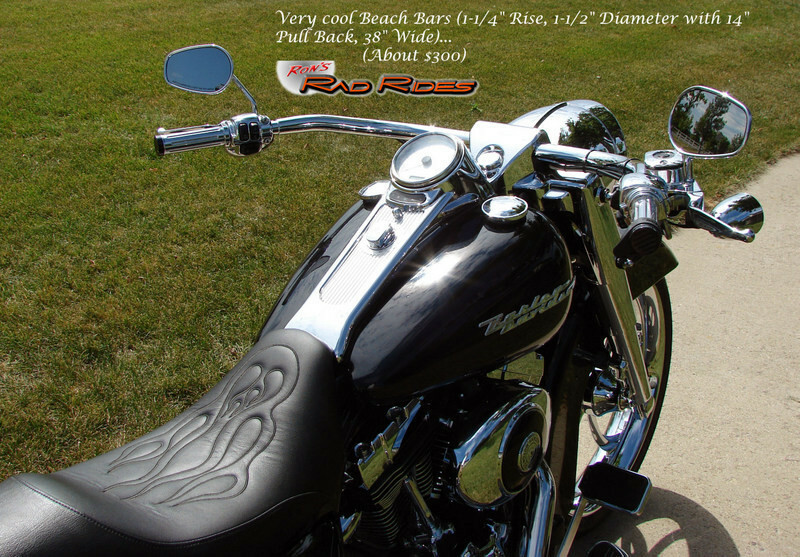 How can you beat that deal? 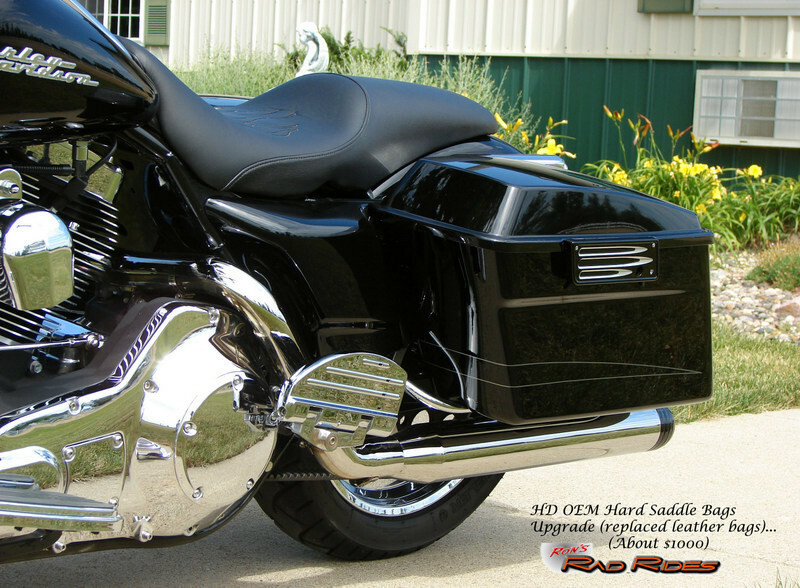 Note #2: It would cost in excess of $28,000 to duplicate this bike. 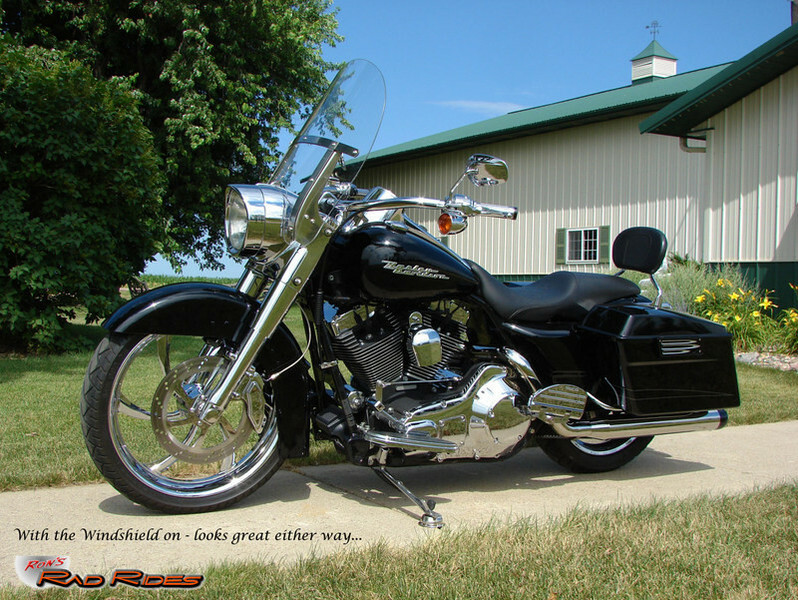 It is a great buy!